and #490 in News & Politics in the ZIG Index. Don’t miss out! See all of the latest from Todd Young and more on ZIG. Senators Had A Lot To Say About Facebook. 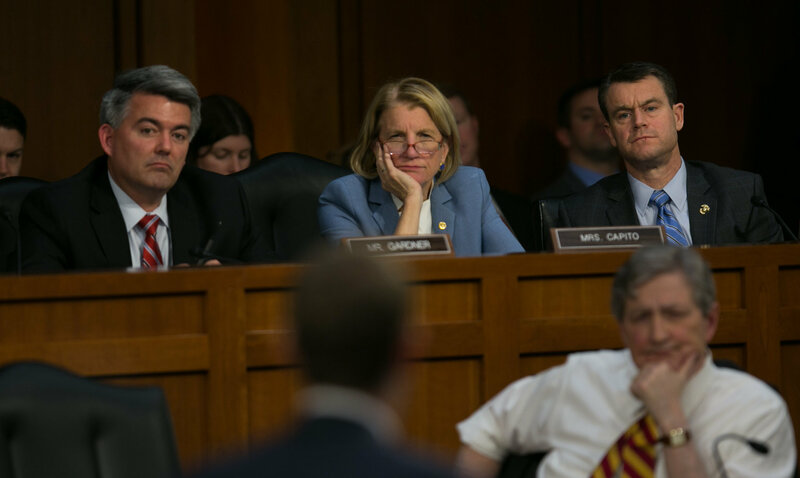 From left, Senators Cory Gardner, Shelley Moore Capito and Todd Young listening to Mark Zuckerberg's testimony at a congressional hearing on Tuesday.